With its unique design and clever functions, the Eletta is a kitchen showpiece. 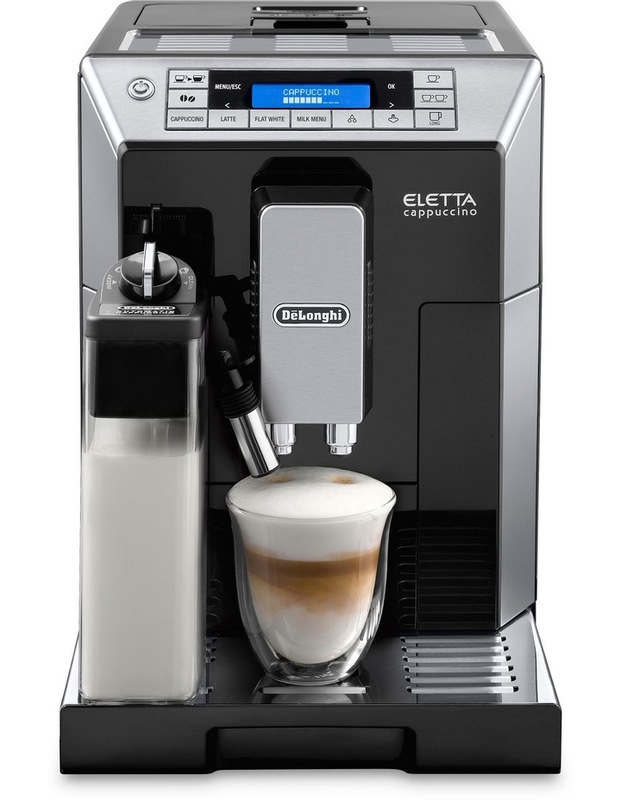 The Eletta produces the perfect brew for all coffee connoisseurs whether it is an espresso, cappuccino, caffe latte, flat white or frothed milk. The patented Latte Crema Instant Frothing Device automatically produces a creamier and denser milk froth, whilst the My Milk function allows you to personalise your milk-based coffee. New DeLonghi LatteCrema System: Enjoy a perfect mix of pleasure. A creamy cappuccino, with dense milk foam, always at the perfect temperature until the last drop. Automatic cleaning integrated into the froth regulating dial, permits you easy cleaning of the whole milk carafe components so the milk carafe can be placed into the fridge after use. Choose your favourite milk beverage in the Milk Menu: hot milk, flat white, espresso macchiato and My Milk tailor your perfect drink.